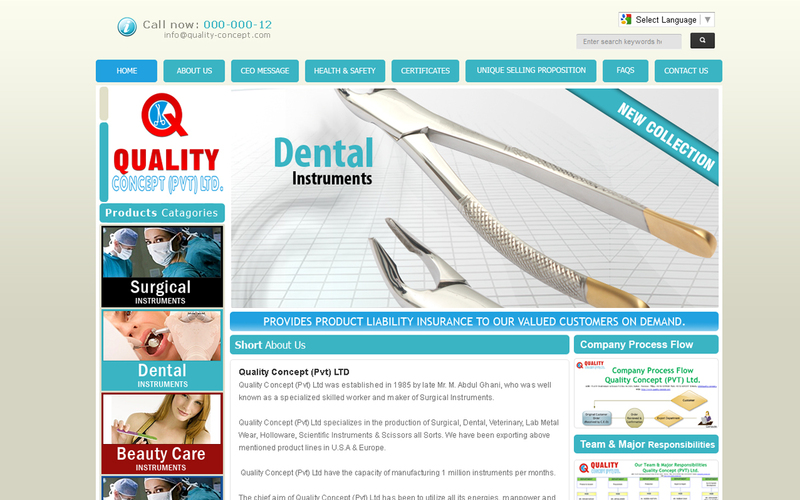 Quality Concept (Pvt) Ltd, Surgical, Dental, Veterinary, Lab Metal Wear. Quality Concept (Pvt) Ltd specializes in the production of Surgical, Dental, Veterinary, Lab Metal Wear, Holloware, Scientific Instruments & Scissors all Sorts. We have been exporting above mentioned product lines in U.S.A & Europe. Dynamic Website containing beautiful features, designed and developed by using Adobe, HTML4.0, CSS2.0, and Flash Professional.